Big data and cloud computing is a perfect combination mainly for addressing security concerns. Constant evolution of big data and cloud computing is providing cost-effective, efficient and powerful infrastructures to support business analytics. The big data market is experiencing a massive growth owing to the remarkable increase in organizational data and spending on R&D. Global organizational spending is estimated to reach over USD 500 billion by the end of 2024. Increasing number of heterogeneous data generated from web clicks boosting the necessity to manage and monitor the data which will significantly impel the big data market growth in the near future. Leading industry players such as IBM, HP, Google, SAP, Cloudera, and Oracle, are progressively investing in R&D, for the development of unified big data solutions to provide improved analytics and integrated management of data. Companies are focusing on mergers and acquisition to diversify their product portfolio with big data and mainframe technologies. For instance, in 2015, Microsoft acquired Revolution Analytics to expand its business for cloud base platform. Similarly, IBM acquired Cloudant and Cleversafe to strengthen its cloud platform business. Global big data market is expected to grow at a CAGR of 22.4% during the forecast period and reach USD 200 billion by 2024. North America is likely to hold the largest share of global big data market in 2016 and is expected to dominate the market during the forecast period. North America big data market is expected to grow at a CAGR of 15.6% during the forecast period and also over the forecast period. Huge penetration of advance technologies and increase in data generation from different industries is driving the growth of big data market in the region. Europe holds the second largest share in the global big data market and it is expected to grow at a CAGR of 19.1 % during the forecast period. Rising manufacturing industries in Asia Pacific predicts APAC to be the fastest growing region for global hadoop market. Countries such as Japan, India and China are expected to lead the entire big data market in Asia-Pacific region over the forecast period. Latin America and MEA regions currently holds smallest share in terms of revenue of global big data market, also shows great potential to garner untapped business opportunities for big data analytics and services during the forecast period. 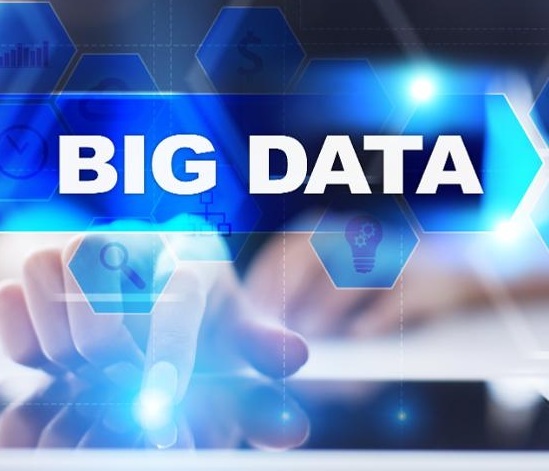 Continuous generation of abundant volume of data by various sectors are raising the need for analysis of these data and significantly propelling the business prospects for big data analytics. Cloud computing provides cost effective, flexible and secure storage of data. Affordable open source storage such as hadoop and vast technological advancement to provide ease for accessibility of data at any place and at any time to consumers are accelerating the demand for big data market. However, managing enormous amount of data is a biggest challenge for the expansion of big data business. For instance, Twitter generates 7+ terabytes (TB) and Facebook generates 10 TB per day. Also more than 82% of data which is generated from various industries is in unstructured form. So to manage variety of data types, sources, and formats is likely to create obstruction for big data market. Moreover, improper use or access of data and lack of trained resources to manage data are hindering required growth for big data market across the globe.